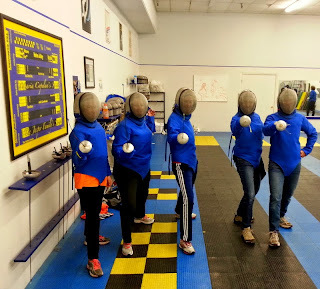 But the instructor was giving Blanche an unfair advantage--well, at least that's what I thought. 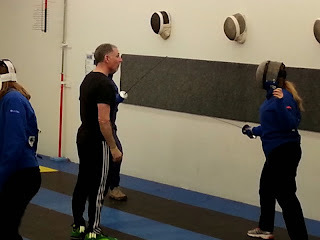 And then, when he finally told me to stab her, I felt a little funny lunging in toward the kill. 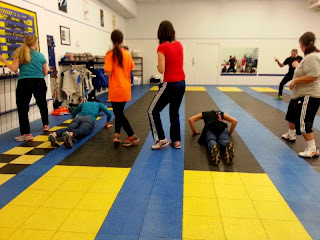 . .
Then we did some limbering games and the instructor had us face off against each other. 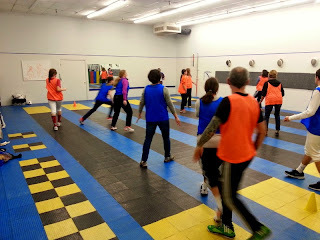 We were paired in teams of orange and blue. 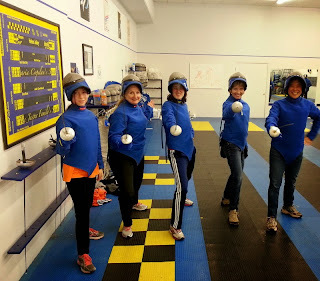 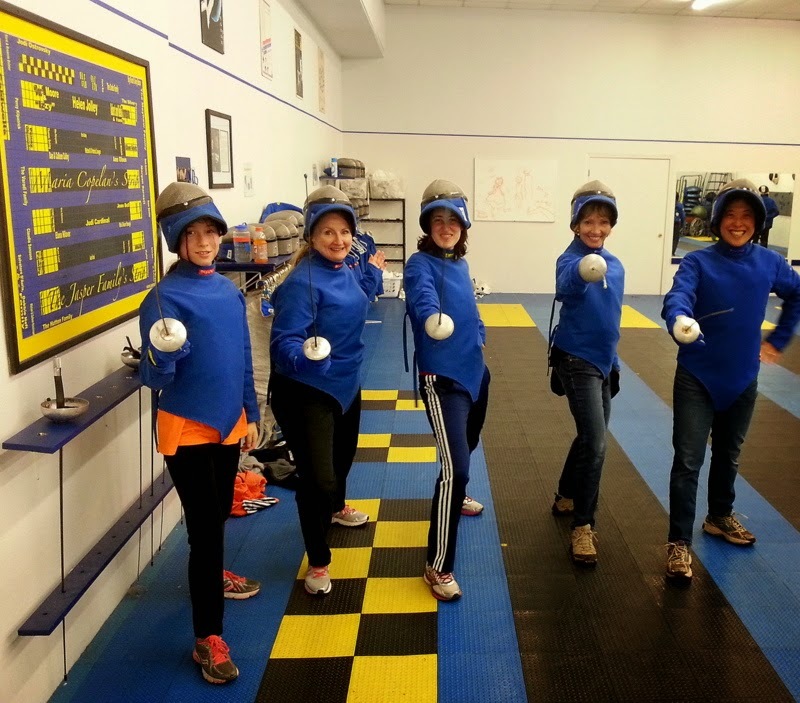 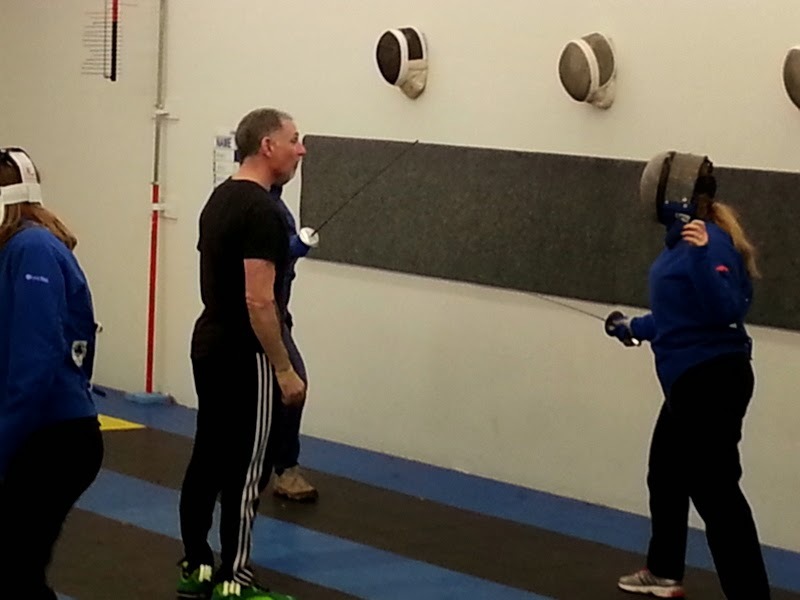 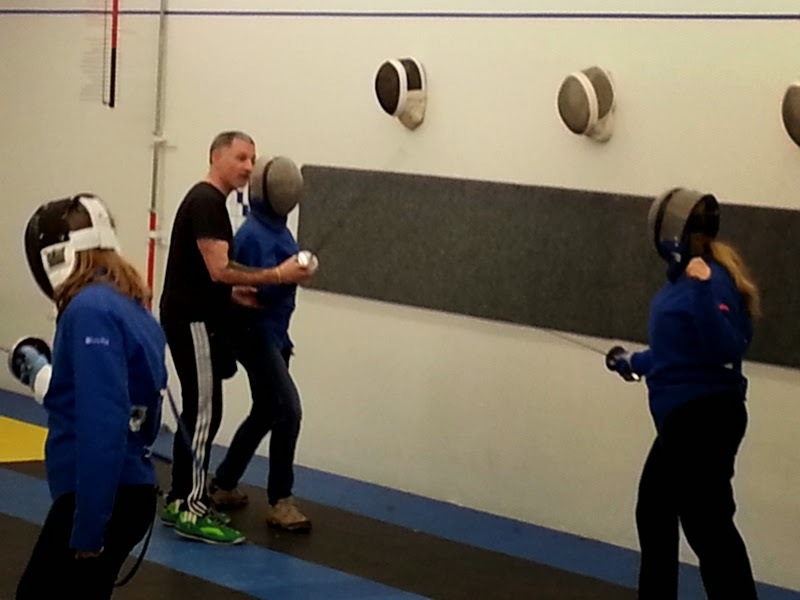 And,it was a night filled with fun activity at the Northwest Fencing Center in Beaverton, Oregon.